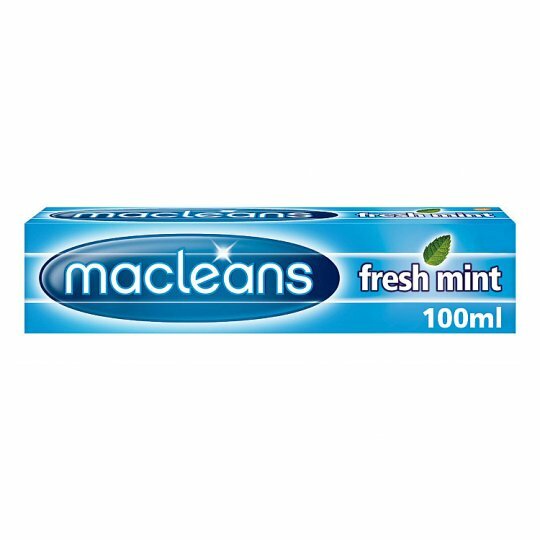 With Macleans Fresh Mint you can feel confident that your teeth look and feel fresh and healthy, giving you confidence in your mouth every day. By Appointment to H.R.H. The Prince of Wales Suppliers of Toothpaste GlaxoSmithKline Consumer Healthcare Brentford Middlesex. 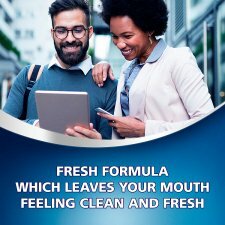 As with other toothpastes, if irritation occurs, discontinue use. Keep out of reach of children. Children of 6 years and younger: Use a pea sized amount for supervised brushing to minimise swallowing. In care of intake of fluoride from other sources consult a dentist or doctor, The ends of this carton have been glued down. Do not use if the carton ends are open.